Dr. Joe Niamtu is limits his practice to cosmetic facial surgery and is well known in international cosmetic facial surgery circles as a surgeon, author, lecturer and researcher. 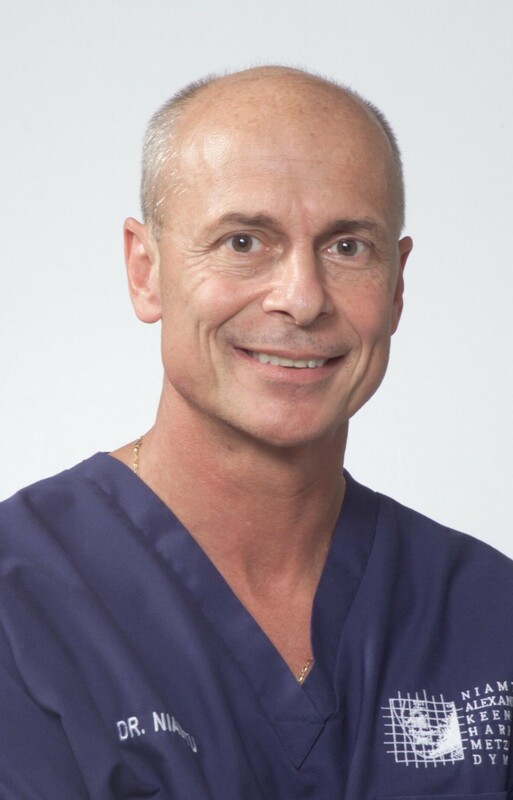 Dr. Niamtu has practiced maxillofacial for 25 years and is board certified in his specialty. He is a fellow of the American Academy of Cosmetic Surgery and the American Society of Lasers in Surgery and Medicine. Dr. Niamtu He has published over 200 scientific articles and papers on cosmetic facial surgery and has edited 3 text books and contributed to 18 other text book chapters in the last decade. Dr. Niamtu is frequently featured in cosmetic surgery magazines and periodicals. Dr. Niamtu teaches and lectures about 25 weekends per year and is also very active in continuing medical education. Cosmetic facial surgery is not only his profession, but also his passion. His approach is centered around superior patient care, high technology and naturally appearing results. Dr. Niamtu treats patients from all over the United States and from numerous other countries. He is also very active in giving back to the community. He has won numerous awards for his volunteer work on third world children with facial deformites as well as multiple community service awards including. He has two young special needs children and is a passionate advocate for the rights of mentally and physically handicapped individuals, as well as being a local spokesperson for the prevention of domestic abuse and violence.